The cost of living in urban cities was increasing, while the square footage of livable space was declining. Under the Bloomberg administration, New York City sought design solutions to create new housing developments for single occupancy homes under 450 square feet. 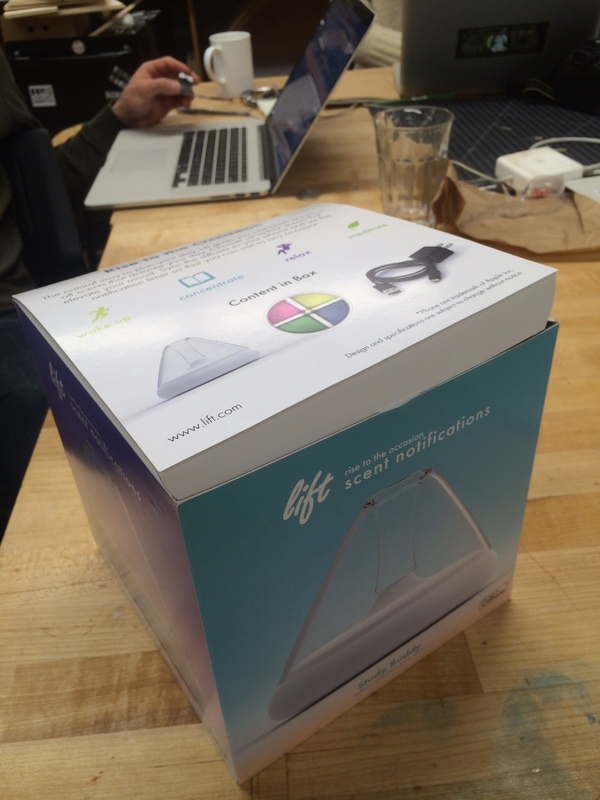 A smart device that uses scent technology to make confined living spaces feel larger. Housed within the device are four distinct scent cartridges that when paired with a smartphone can be programmed to release different scents throughout the day to change the mood of an environment. Research into the internet-of-things revealed that people have become too reliant on technology. Although devices are getting smarter, we are not. We can turn off our devices, but we can't turn off our sense of smell. In fact, scent more than any other sense is intimately linked to parts of the brain that process emotion and associative learning. It's often our first response to stimuli. It alerts us to fire before we see flames. It makes us recoil before we taste rotten food. In short scent can affect our mood and change how we perceive space. Designed to appeal to "mindful seekers", digital natives looking for ways to unplug. 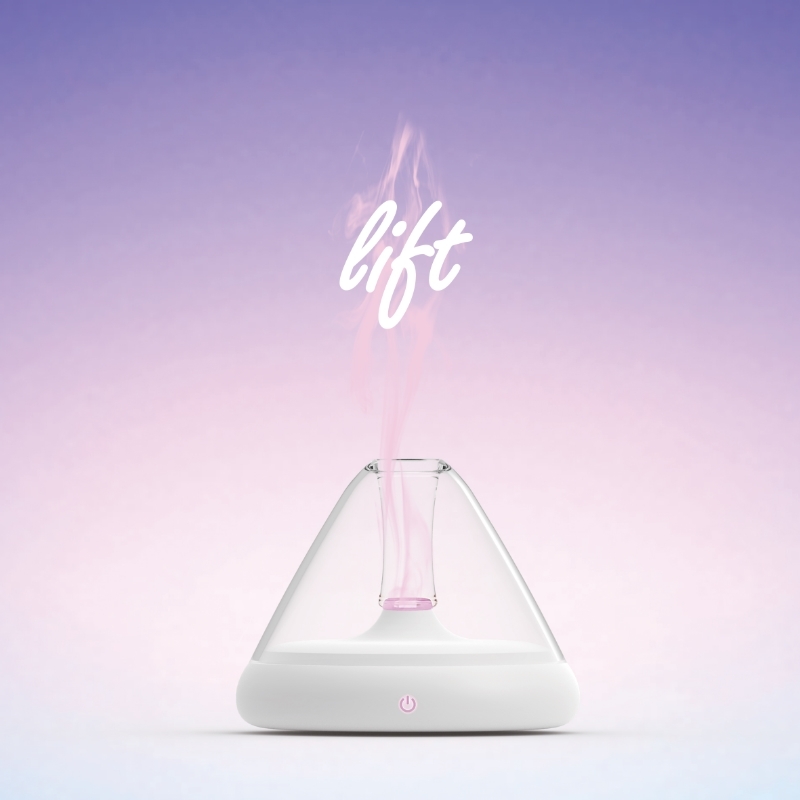 Lift uses scent to help people transition mindsets from thinking to doing by using scent to uplift their moods. The essence of the brand is invigoration. People should feel refreshed and renewed every time they use this product. As a consideration for the environment, the form of the product should be subtle, allowing the scent to radiate. The balancing of form and scent blend together to create the ambience of the room.